I’m trying to schedule a recurring meeting that occurs each month on the first Thursday of the month. Could not manage to do this in Calendar. The repeat function for monthly meetings operates by date, not by day of the month. Am I missing something? Calendar on the Mac has plenty of recurring options that are lacking on iOS. 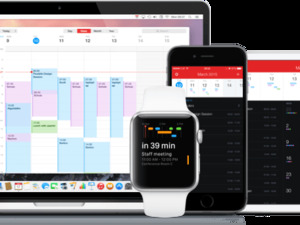 While users of Calendar (née iCal) have long had this capability, Diane’s not wrong: The ability to schedule recurring events by day of the week is missing in action on iOS. But there are a couple ways to work around this issue. 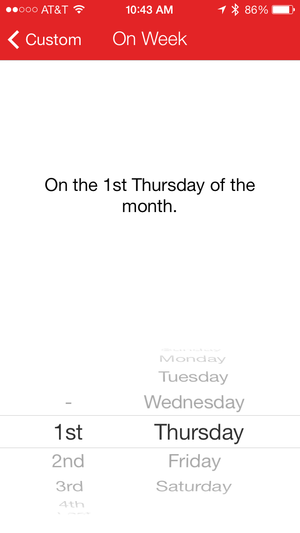 First, as just mentioned, Calendar on your Mac can set up recurring events for the first Thursday of a month. Just choose the Custom option under Repeat and select Monthly. Below the ability to select by date, you can choose to have an event fire on the first, second, third, fourth, or last Thursday (or any other day of the week). If you use iCloud to sync your calendar data you can also do this in the Web app version of Calendar, which features much the same interface. Fantastical on iOS has very flexible recurring event options. However, if you’re dead set on scheduling recurring events on iOS your best option is a third-party app. 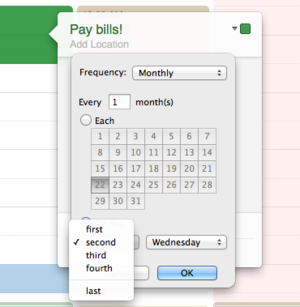 The much-loved $2 Fantastical from Flexibits lets you set a custom recurring event on a day of the week. (You’ll find it under Custom after you select the “Every month” repeating option.) Other apps that make scheduling repeating events easier include savvy apps’s also-$2 Agenda Calendar and YunaSoft’s $7 Awesome Calendar. 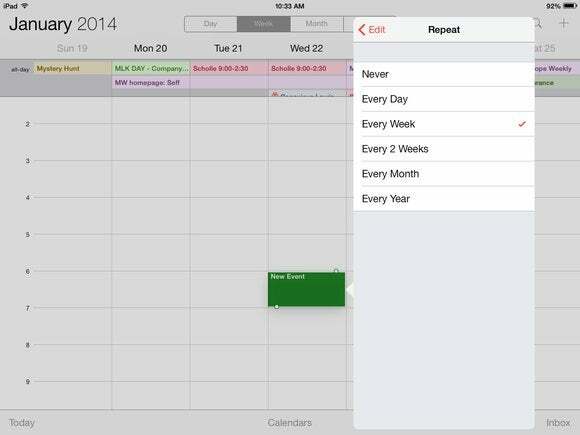 Of course, it’d certainly be preferable if Apple’s own Calendar app offered the same ability. Next week, we’ll run you through how to set up an automated workflow that submits feedback to Apple on the second and fourth Thursdays of every month and suggests they add this feature to Calendar on iOS.